Thomas Robinson Architects are offering visitors to this year's Scottish Homebuilding and Renovating Show a unique opportunity to tap into the expertise of an award-winning practice. Embarking on the journey to build a new dream home or overhaul an existing property can seem hugely daunting but eight visitors to the event at the SECC inGlasgowon May 18 and 19 will have the chance of a pre-booked private consultation with one of TRA's leading architects who will help them focus on the way ahead. By discussing the outline of the project, considering the style of building required, budget and spacial requirements, clients should go away with a clearer idea of what direction to go in. Founding partner Tom Robinson said: "We appreciate that people attending the show will want to make the most of their time and by offering exclusive appointments we can guarantee they will be seen and have the chance to discuss their ideas. "We are offering these slots to people interested in building large houses with an area in excess of 250m2, those looking to add a major extension to an existing property or perhaps convert a large traditional villa. "Clients might have a particular style of architecture in mind for their project and although we have designed many large contemporary houses, we have also created homes in traditional styles. 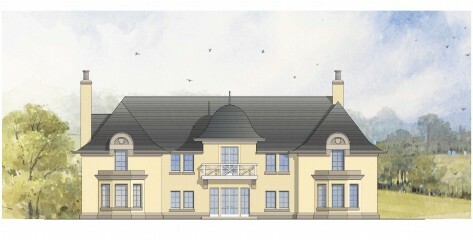 "For example our involvement on the Avenel development at Kilmacolm has brought interest from people who know we have a proven track record in Arts and Crafts property, while others are attracted by our experience in classical design or buildings that respect the traditions of Scottish vernacular architecture. "Perhaps someone might be unsure if they will be able to secure planning permission for a particular site and we can talk them though that process. We have a proven track record on helping to secure consent by producing architecturally sensitive designs." To book at slot with TRA at the show you can email mail@thomasrobinsonarchitects.co.uk or call the office on 01360 661144. When contacting us, please give details of the size of your proposed project, budget, ideas of what is required in terms of space and styles of architecture you like. If you are emailing, you can add photographs of the site or existing buildings.